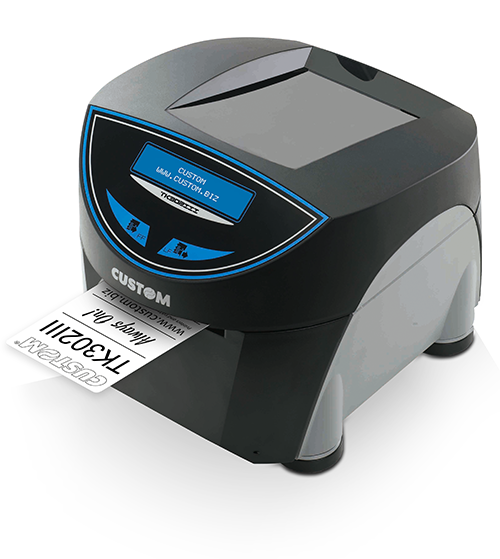 TK302III is the most advanced ticket printer available on the market for applications that require durability and the latest technologies. The printer can be delivered with an optional barcode scanner to validate tickets with pre-printed barcodes and with several RFID modules for HF and UHF. The optional barcode scanner makes the TK302III suitable for all ticketing applications where fraud risks are very high, as it improves access controls. The barcode scanner is positioned inside the printer for a secure and real time scanning process. TK302III isextremely fast: up to 200mm/s ticket printing speed. It prints different paper widths, from 20 to 82.5mm, and can be easily adjusted by the user. Ticket weight (in grams): from 80 to 255 g/m². TK302III has an Ethernet interface with Embedded Web Server, which allows you to remotely and fully control the printer and perform real time diagnostics. The embedded client mail system is capable of sending out emails automatically, to request support or simply a paper change.